Chasing the Dragon Poster Contest – Enter Today! 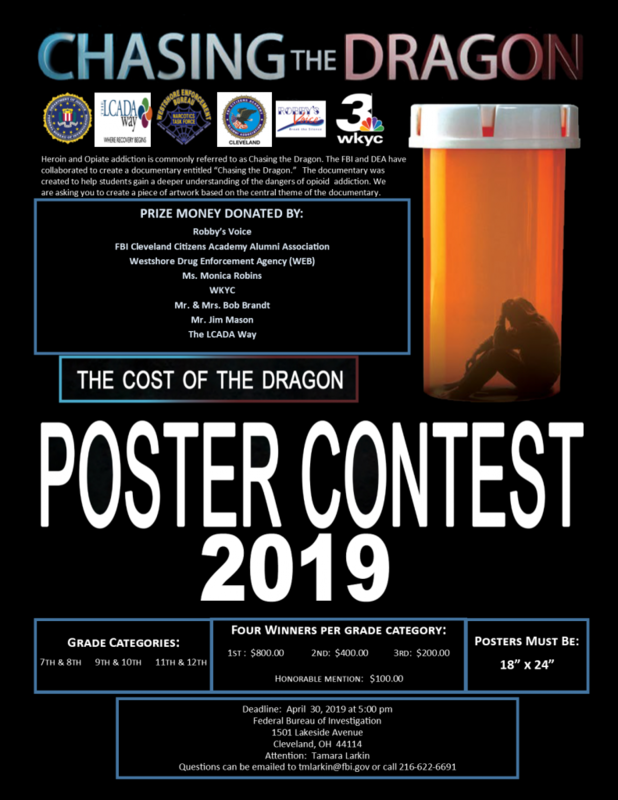 The FBI Cleveland Division is now accepting submissions from students grades 7 – 12 for the 2019 Chasing the Dragon Poster Contest. For the full list of official rules and submission information, CLICK HERE. Deadline for entries is April 30, 2019.